It’s so super bright in the sun! The swatch last night was in horrible lighting… Sorry about that! This entry was posted in general polish yumminess, konad, swatches, YAY! 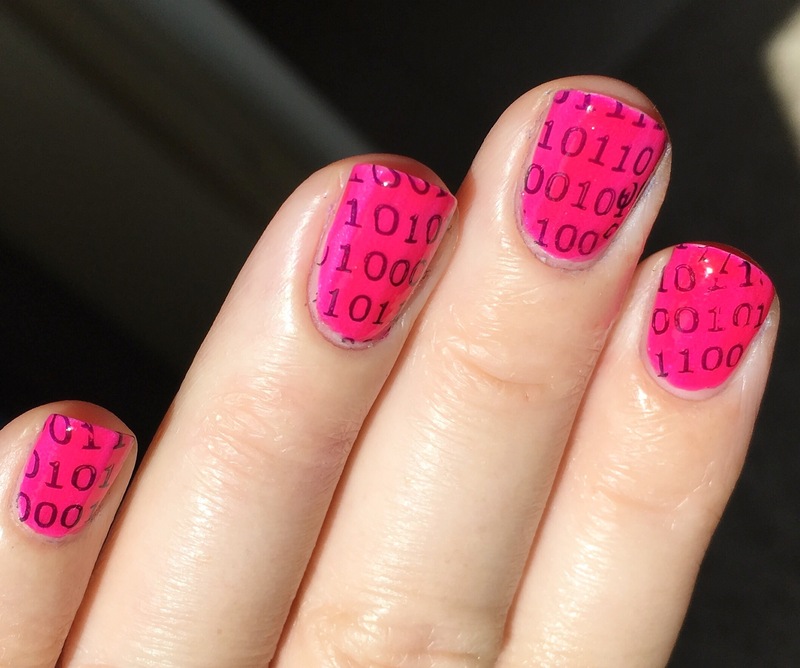 and tagged bm-xl26, cana, nail art, nail polish, neon, stamping, ultrabrites, zoya on August 2, 2016 by hollyshimmerspark. 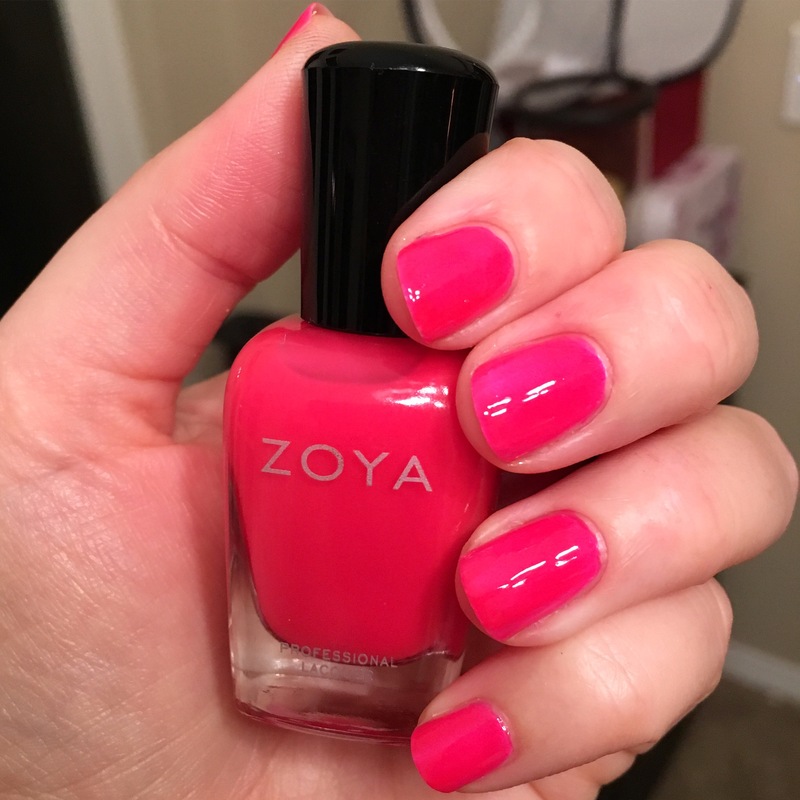 I love this perfect, smooth, super-bright neon pink! I put it over Zoya Aspen (their shimmery matte white). It is awesome over white to make the color pop. This entry was posted in general polish yumminess, swatches, YAY! 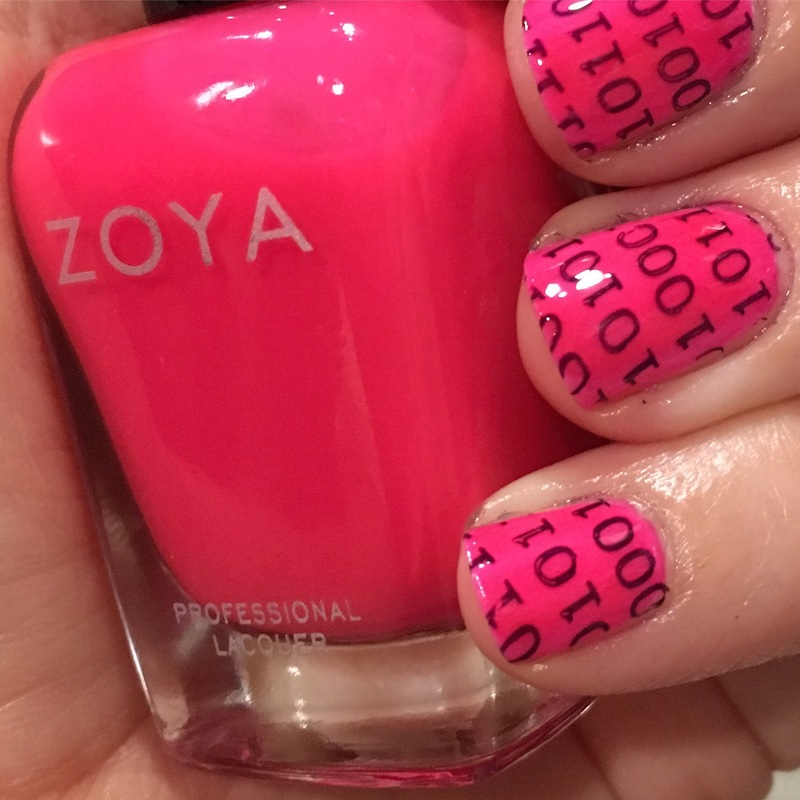 and tagged cana, nail polish, neon, pink, swatch, zoya on August 2, 2016 by hollyshimmerspark.